British Airways is re-introducing the Boeing 747 to Lagos which will be effective from 1st September 2017. The Boeing 746, which is fondly referred to within BA as the ‘Super High J aircraft’, will boast of 14 Seats in First class, 86 in Business class, 30 in World Traveller Plus and 145 in World Traveller. The aircraft is larger than the Boeing 777s which the airline currently operates and will add an extra343 seat a week on the busy route between London and Nigeria’s commercial capital-Lagos. As well as a refreshed interior, with the look and feel of British Airways newest aircraft, and state-of-the-art entertainment system, the revamped 747s also have a larger Club World cabin with 86 lie-flat beds and choice of the upper deck cabin for our dedicated Business customers. The aircraft is equipped with Panasonic’s next-generation eX3 entertainment system, which will give customers a choice of over 1,300 hours of entertainment, including more than 130 movies and 400 TV programmes on larger, high-resolution screens, with touch and swipe functionality, giving the system the familiar feel of using a tablet. As part of the upgrade, customers in World Traveller Plus will now have access to a universal power socket at every seat, capable of accepting plugs from the UK, US and Europe. In addition, World Traveller customers will have their own USB sockets to power phones and tablets. New seat foams have also been installed in World Traveller and World Traveller Plus to increase customer comfort and updated seat covers fitted to match those on the A380 and 787. 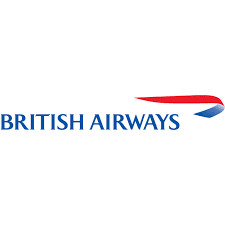 British Airways has also launched its multi-million-pound investment plan to benefit its customers with a focus on excellence in the premium cabins and more choice and quality for all.